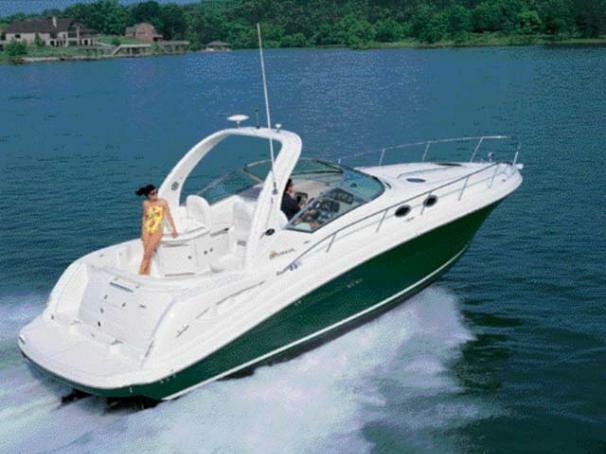 Boat Description In the 340 Sundancer, high performance, comfort and quality are beautifully combined in one sleek cruising package. Powered by twin MX6.2L MPI MerCruiser V-drives, the 340 Sundancer is the ticket that will let you discover a whole new world of boating. A roomy, redesigned cockpit offers plenty of opportunity to relax, and her sleeping accommodations for six mean family and friends can go right along with you. Engine Notes Yanmar diesel V-drives and Volvo diesel stern drives also available.